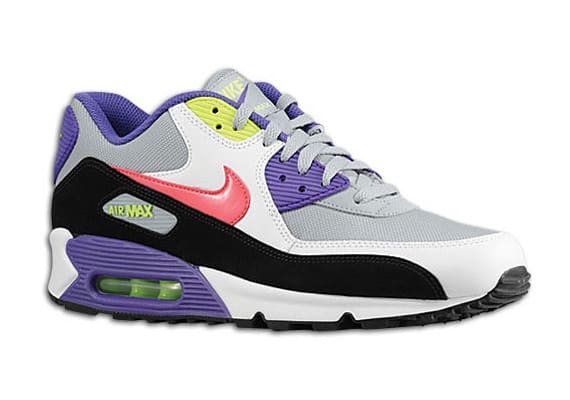 Nike Air Max 90 "Purple/Neon Green-Hot Red"
Nike Sportswear has dropped off a summer-appropriate colorway of the Air Max 90, featuring a variety of bright hues. The base highlights predominantly white and grey shading, while touches of purple, green, and red complement throughout. If you like what you see, Eastbay currently has stock of the fresh Max 90s, retailing at $100.